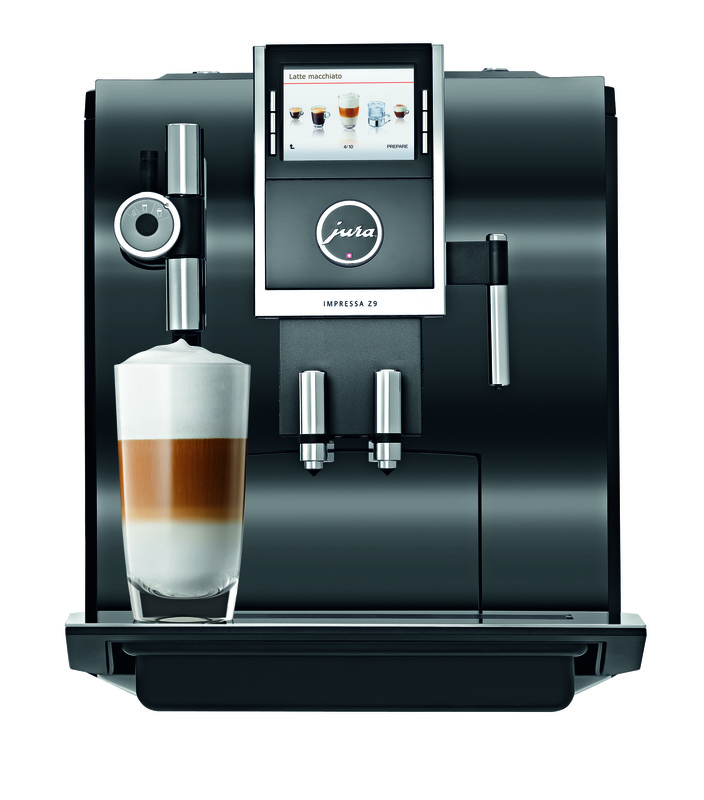 The Jura Z9 coffee machine with One Touch defines sophistication. The newest automatic coffee maker from Jura was created with bold new technologies: The Thin Film Transistor (TFT) display combines color, text and graphics to improve the user experience and the Aroma+ grinder that can grind fresh beans in record time. 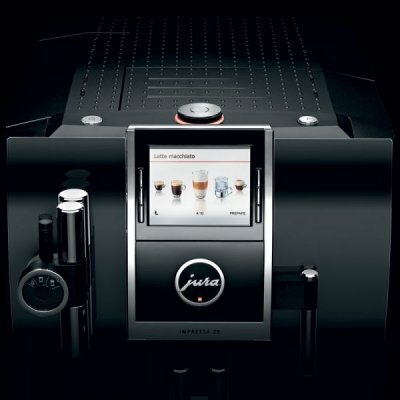 Thanks to award-winning design and premium materials, making the perfect cup of specialty coffee has never been easier with the Jura Impressa Z9 One Touch TFT. The Aroma+ grinder on the one-touch espresso machine can grind fresh coffee beans twice as fast as conventional grinders. 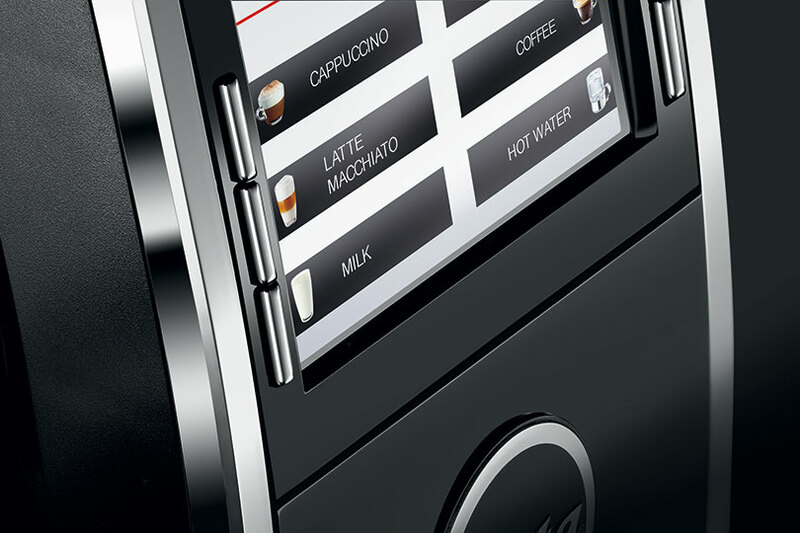 High-tech features of the Jura coffee machine like TFT display and a rotary switch simplify the specialty coffee selection process. Options to choose size, strength and temperature. A 20-ounce stainless steel milk container keeps milk cold for up to eight hours. The nine-ounce bean hopper has an air-tight preservation cover and the funnel system accommodates ground coffee as well as beans. 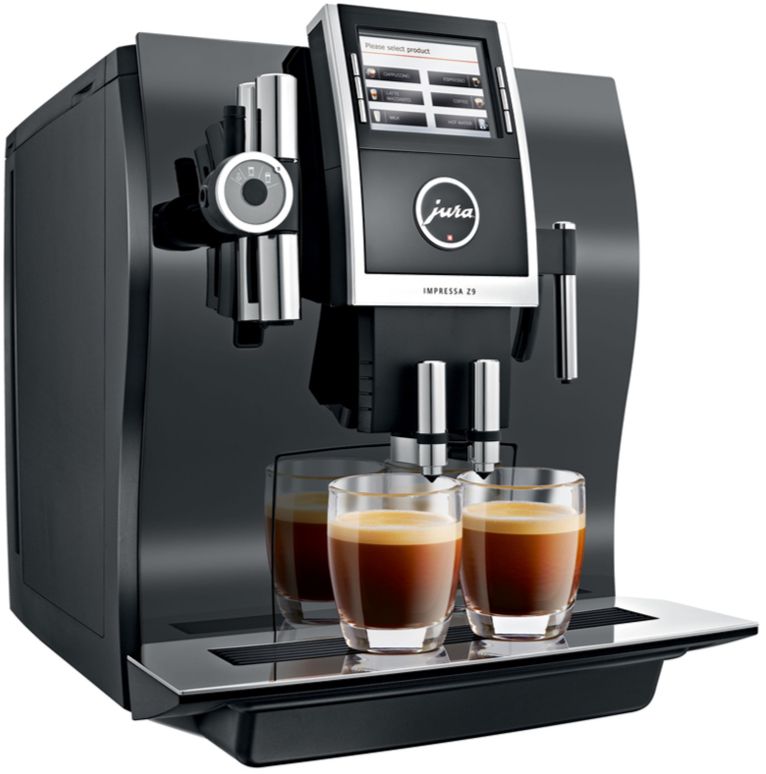 The Jura Z9 is a high-tech, high performance Jura coffee machine designed to make a wide range of specialty coffees. The high speed Aroma+ grinder turns whole beans into fine grind while preserving their aroma; dual thermoblocks—one for coffee and hot water, another for steam—create the optimal conditions for brewing specialty coffee. Brewing an amazing cup of specialty coffee has never been easier, do it with a machine set apart from other espresso machines like the Jura Impressa Z9 One Touch TFT. The Jura Z9 combines TFT technology, an intuitive color/text/graphic display along with a rotary switch that allows you to select an endless number of options to brew your favorite specialty coffee. 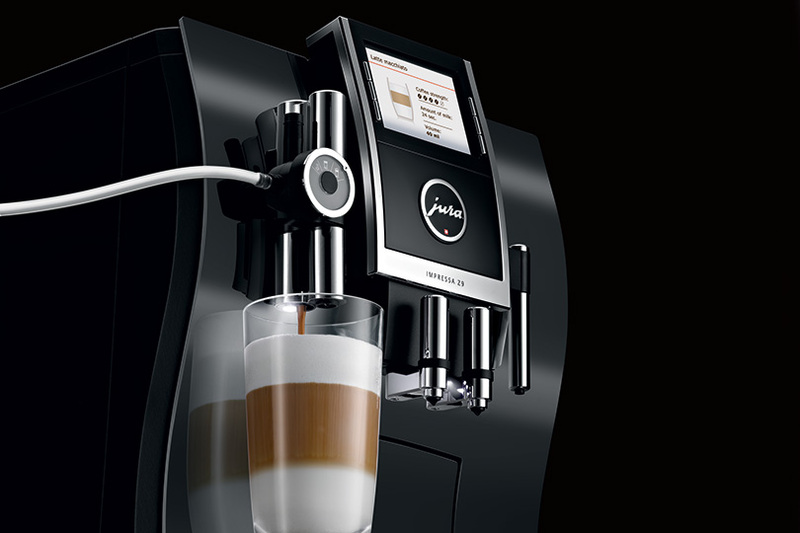 The Z9 Jura coffee machine features state-of-the-art fine foam technology to create the perfect fine milk foam finish for latte macchiato, cappuccino and other specialty coffees. And, thanks to the adjustable spout, the one-touch espresso machine makes it’s possible to add milk foam to a small cup of cappuccino or a tall mug of latte. 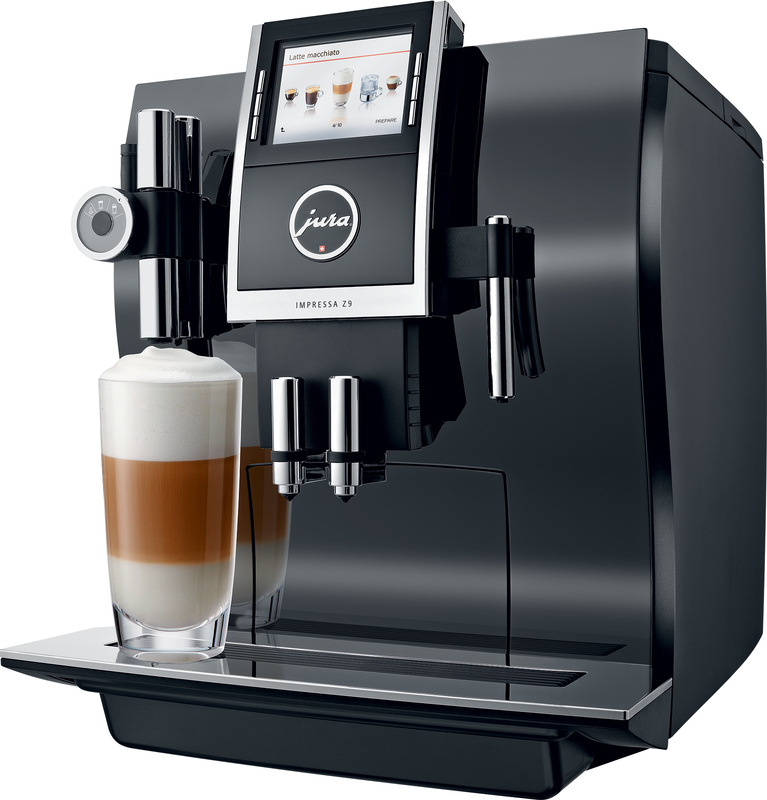 The sophisticated design of the Jura Impressa Z9 One Touch TFT was manufactured with premium finishes and outstanding Swiss craftsmanship that sets this automatic coffee maker apart from other espresso machines. What a wonderful machine. We had an unfair advantage because our daughter and son-in-law already have one. It is a truly awesome machine. Coffee is a daily pleasure. This machine is superior to any I have seen! We love our Z9 coffee machine. Makes GREAT coffee. 1st in Coffee was a pleasure to work with. The order was made easily and the machine arrived when they said it would -- on time and in great shape. Great company! Best coffee maker Ive ever owned. I couldn’t be more happy with the Jura Z9! I didn’t think Jura could beat my old F9 but they did. This machine is easy to program, easy to operate, makes outstanding coffee and specialty drinks, and looks very good on the counter. So far I’ve not had less than a perfect cup. It earned the five stars I rated it! I ordered a new Jura Z9 coffeemaker. It was delivered quickly. Always receive my shipments in a timely including my Illy coffee. We have been using the machine for about two week and have been able to calibrate and set the programmable settings. We had a Miele built-in for about 10 years but this Jura is far better. Daily maintenance is fast and simple and it produces a great cup of coffee. In order to be consistent, we kept using the same beans as before so that our assessment would be accurate. Now that the initial sampling is over, we will be looking for different coffee beans to try.